Robotic Roles at the 2018 Winter Olympics « Adafruit Industries – Makers, hackers, artists, designers and engineers! Spectators who get lost in Olympic Plaza in Pyeongchang next month can ask for directions from a nearby guide that speaks four languages. Thirsty patrons who visit Gangneung Media Village can order drinks for delivery. And they can do all of this without talking to another human. 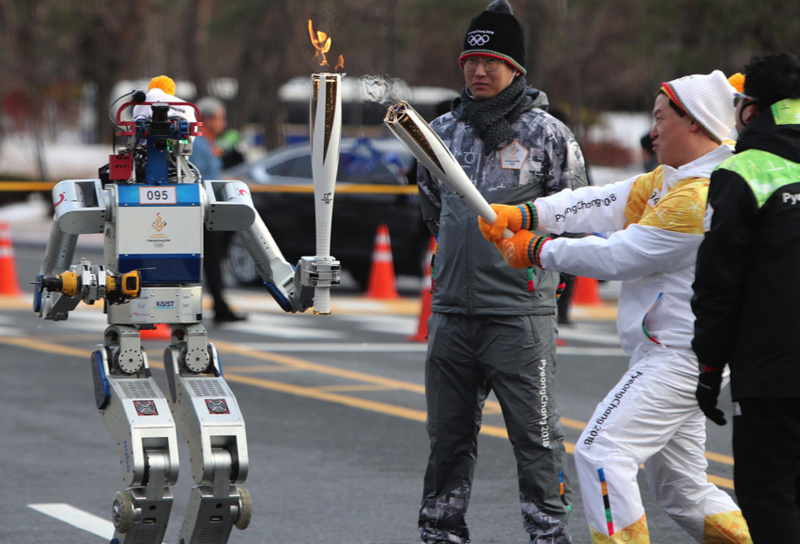 South Korea is going big on robotics for the 2018 Winter Olympics, which begin on 9 February. Organizers will deploy about 80 robots at the games to showcase the nation’s leader ship in advanced robotics research. Eight companies—with US $1.5 million in sponsorship from the South Korean government—have been working on projects for the games since 2016. The roboticists who built all of these new robots are now preparing to unveil their technology on a world stage. It’s a stressful time for everyone involved. “I have more anxiety than excitement,” says Jun-ho Oh, the director of the Institute for Robotics at the Korea Advanced Institute of Science and Technology (KAIST), who led government officials in managing robotics for the games. Most of these automated helpers will take on highly visible roles and interact with the public. Which means they must be able to, among other things, maneuver through crowded spaces and know when to hit the brakes. Any mistakes they make will be in the public eye.